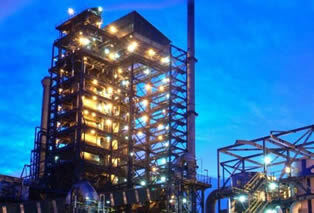 Mopani Copper Mines (MCM) intends to spend US $ 295 million to sink a syclinorium shaft at its Nkana mine site in Kitwe . MCM chief executive officer Emmanuel Mutati said with this investment, the mining company is expecting to increase its production and extend the life span of the mine by another 25 years. Mr Mutati said this when he briefed deputy mines minister Jazzman Chikwakwa on the current projects the mine intends to under take. He said this project once commissioned in the first quarter of 2015 will create about 600 jobs. Mr Mutati said Mopani has to inject $295 US to extend the mining operations which would have closed by 2015 if there was no investment. He stated preliminary works on the sinking of the shaft has started and actual works would commence next year. ZANIS reports that the syclinorium shaft will be operating at 1, 200 level below surface and is expected to produce 115 million tonnes of ore per year. Mr Mutati also told the deputy minister that the MCM will invest about one billion United States dollars into the Nkana smelter in the next five years as way of improving its capacity. He said there has been an overwhelming need to invest in the smelter because the new mining firms such as Kansanshi bring its copper ore for processing at MCM. 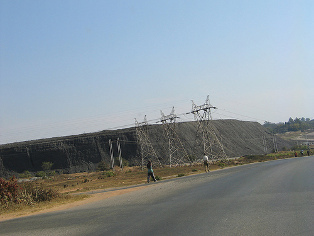 He added that operations at the North Shaft at Nkana mine site will close in three years time but will not have any bearing on the mine operations since it is a small shaft producing 500,000 tonnes of ore per year. Mr. Mutati said Mopani has made a capital investment of 1.2 billion dollars in its operations since it started mining activities at Nkana and Mufulira mine sites. And Mr Chikwakwa said government was happy with the massive investment at MCM. He said government has a responsibility of consolidating peace in the country so that the investment is secured and sustained for the future. The deputy minister said the mining industry has a future that needs a stable government to continue creating conducive environment for the mines. He said the investment at MCM has demonstrated that it has the capacity to sustain the mines and advised mining firms to blend local and foreign investment in their operations. Profiteering Mopani should take a leaf from their Solwezi counterparts and build a new stadium for Nkana maintain roads in mining compounds of Wusakile, Chamboli, Mindolo, Miseshi, Ndeke Village, Chachacha, Nkana East and Nkana West. They should also support Nkana. When copper runs out and you leave us in poverty, that will be sorrowful! You have the money and there must be no excuse. Is this news sure? Develop the local area and maybe that will be news! Its not the responsibility of Mopani to develop those townships. Its governments responsibility… dull Zambians still living in UNIP’s ZCCM era wake up. Hey Zinduma, creation of 600 jobs in Zambia is a big deal, and indeed is news. It doesn’t happen every day. It’s also a step towards development of the local area. I just hope it will surely happen.